Fix vanilla crash while searching with multiple large mods active. Stop the Preview Object window taking focus when hovered over. 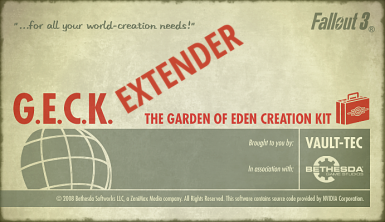 File 'Geck Extender' description changed. Mod version changed to 0.5. Author changed to 'lStewieAl - Roy Batty - LuthienAnarion - jazzisparis - nukem - carxt'.